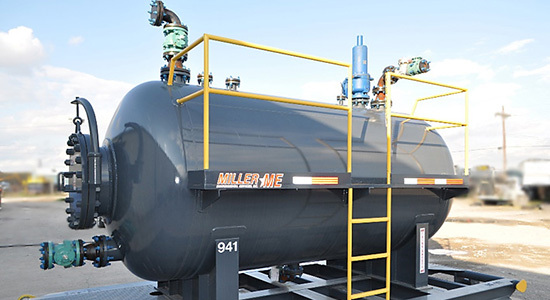 Miller Environmental has engineered an ASME Coded vessel to minimize flare loading during the shutdown of a unit. This system functions as a smaller version of the normal operating process equipment generally used in the overhead of many operating systems. This temporary knockout drum will significantly reduce the shutdown timing by reducing the potential for flare overloading. The drum, coupled with our decontamination equipment, is designed to relieve flare loading during shutdown operations. Our technological advances provide the tools you need to get the job done. Typical applications for the unit decontamination flare knockout drum include: unit decontamination, tank degassing, vapor phase cleaning, and venting operations. The vessel is rated at 350℉ at 50 psig. 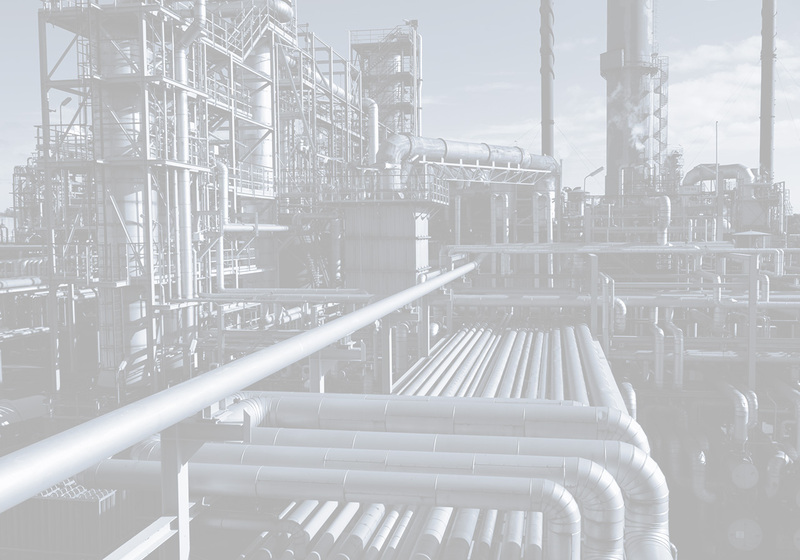 All components on the vessel, including the level gauge, valves, PRV (set at 45 psig), and fittings, meet or exceed the ASME Codes of the vessel. The vessel is designed for quick delivery and set up via roll-off truck or a moderate-sized forklift.